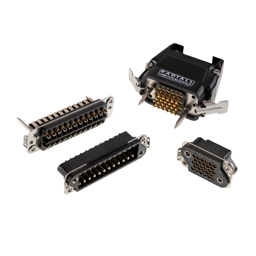 B and MCS-R series are slim rectangular connectors made for a working current that ranges up to 15A for B series and up to 13A for MCSR series. Interchangeable, these two series feature the same range of backshells. The B and MCS-R series a perfect interconnect solution for harsh environments due to the robustness and high reliability they provide.